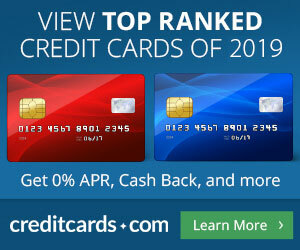 You have a choice where to get your credit cards. If you get them through my site I get compensated and really appreciate the support. Please try to support the bloggers who add value to your life and do not treat you like a punching bag with repeated attempts to sell you the same credit cards again and again. Due to the format of the creditcards.com arrangement I am not sure if these are the best offers as I have no control of what offers appear. You can email me if you are not sure. And you can always check Mile Nerd’s page for the latest best offers! Or you can ask in the blog comments and we will make sure you get the best offer available and not steer you to the one that pays me! Click on the big banner to the right or on “Apply Now” in the banners below! If you do not see the credit card you want, you can click on “CARD ISSUER” in the top menu and then click on the specific bank that carries it (Chase, American Express, Citibank, Capital One, Discover, Bank of America, etc). If you do not see the bank you want (US Bank or Barclays), click on “CARD ISSUER” in the top men and then click on either “Visa” or “Mastercard”. If the card you are looking for is not showing, scroll to the bottom of the page and click on “Show More Results”. Once in a while, the CardMatch™ tool below can bring up some great offers for you so click and check it out! If you are presently carrying credit card debt and can not pay off your balances every month you should NOT be reading this page! Thank you for your support!